A nasty new trend have migrated from the US. Where people are dressing up in clown costumes and terrorizing local children such as the students of Pope Francis Catholic School in downtown Toronto. 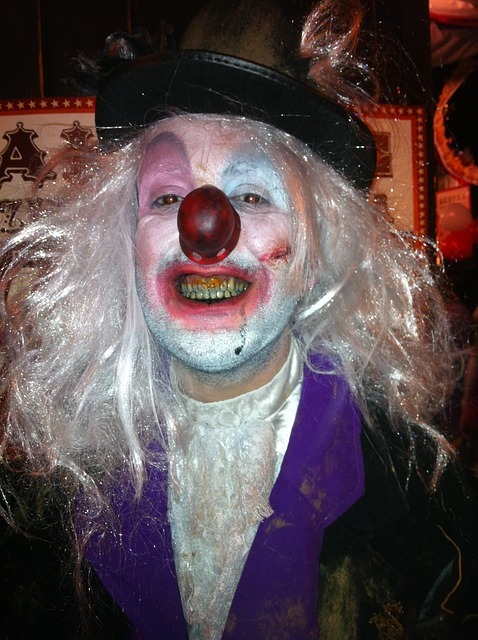 Toronto Hypnotist Luke Michael Howard PH.D is offering any children who have been effected by what is called "The Clownpocalypse" a free hypnosis session to help them over come their phobia. "Coulrophobia" The fear of clowns is very real. It effects around 12% of people in North America. Says Like Michael Howard Ph.D a Clinical Hypnotherapist who has specialized in phobia removal for almost 20 years. The phobia can result in a state of panic, increase anxiety & stress. Where the affected people experience difficulty in respiration, irregular heartbeat, sweating, nausea and feelings of fear. It effects alot of people especially Children this time of year. 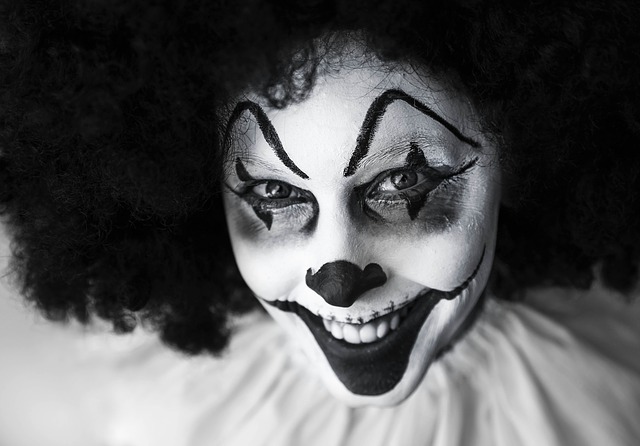 "Coulrophobia" the Clown phobia is remarkably common. alot of people assume that, because clowns are associated with carnivals and fun, and typically wear colorful clothes and over sized shoes and do funny things, children must like them. And some children do like them . But most often, children absolutely hate and are scared by them, and may get into screaming fits of anxiety even at the sight of one. From a psychologist’s point of view, a fear of clowns often starts off in the child years; there’s even an entry in the psychologists’ bible, the Diagnostic and Statistical Manual of Mental Disorders or DSM, for a fear of clowns, although it’s under the umbrella category of a pediatric phobia of costumed characters (mascots, Donald duck). “It begins normally in children about the age of two, when they experience panic about being around new people, too. At that time, there's minds are still developing, they’re not always in a position to separate imagination from reality,” explains Dr. Brenda Wiederhold, a experienced psychologist who runs a panic & stress clinic in California that uses virtual reality to help children. A child who is terrified of clowns most probably will grow up to be an adult who's fearful of clowns. But an adult who never had any concerns about isn't immune to the phobia- These symptoms can begin at any age. After having he's Niece effected by an incident in the UK. And the heartbreak it has caused Luke Michael Howard Ph.D have volunteered he's service's to help youngsters overcome this fear.